How do I print a Shipping Label from Endicia Label Server using Unify Desktop? 2) If needed, the Ship to and the Ship from addresses can also be edited from here. Click and make the necessary modifications, then click save. 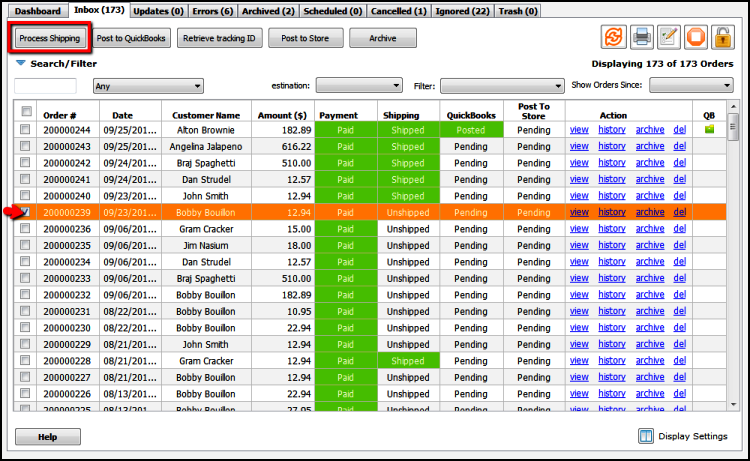 3) On the right hand side, make sure that Endicia Label Server is the shipping processor. 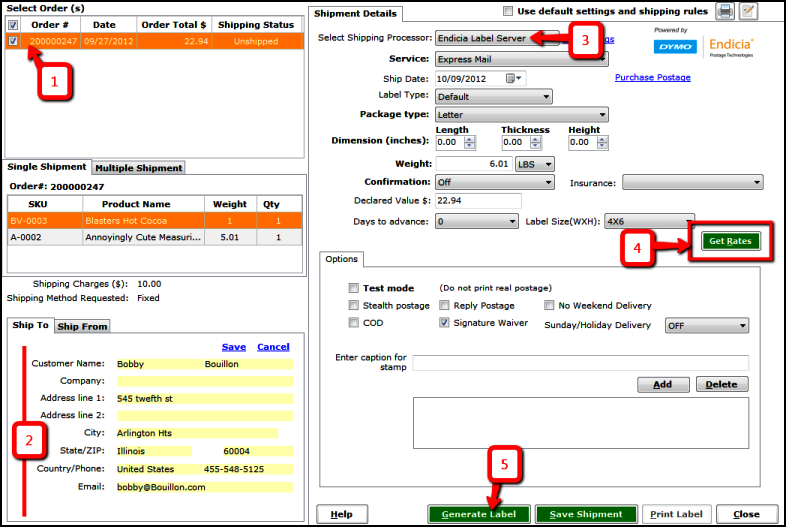 Changes to any default settings can be made by clicking “Edit Settings” next to the shipping processor. 4) Select your shipping parameters for the current shipment and then click the Get Rates button to get the current shipping rate for the service selected. 5) Click Generate label to create a label for Endicia Label Server.